The prime minister of Northern Ireland, Sir James Craig, and the provisional prime minister of Southern Ireland, Michael Collins, met in London to agree terms to end the violence engulfing the North. 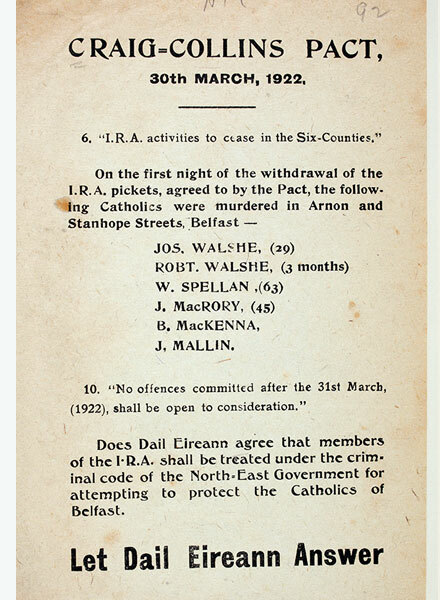 The agreement stated that Catholics would be recruited into the Ulster Special Constabulary. 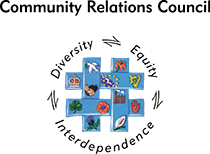 However, almost from the start the agreement began to break down due to the continuing violence and police brutality in the North, many Unionist MPs in Northern Ireland openly opposing the pact. 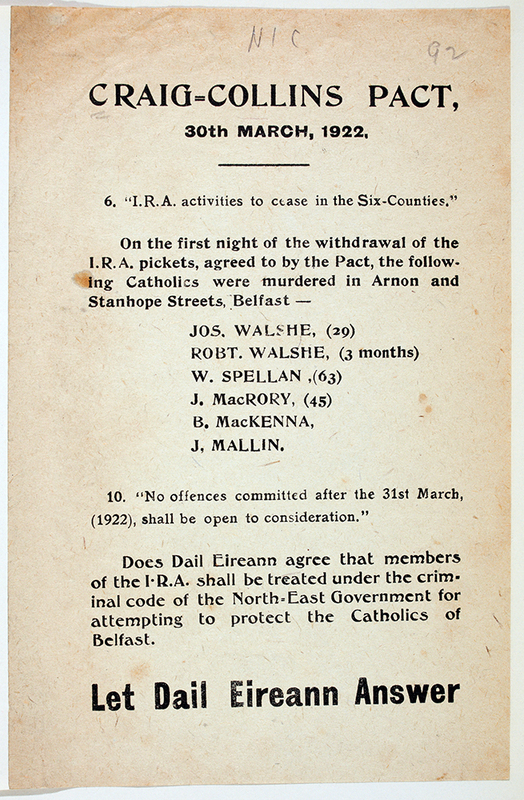 Poster: Craig - Collins Pact; IRA protest against the murder of six Catholics in Belfast.